U.S. Secretary of State John Kerry says he has spoken to Iranian Foreign Minister Mohammad Javad Zarif about the three Americans that were abducted in Iraq last week. 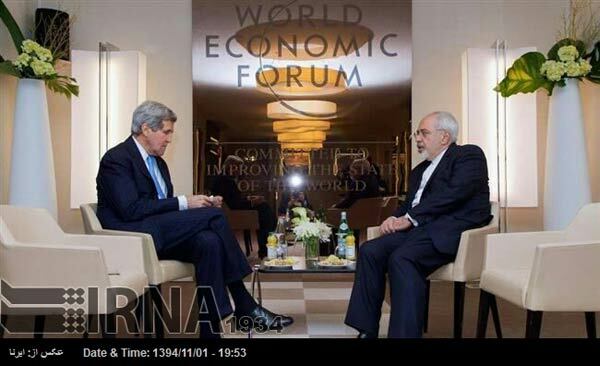 Kerry confirmed at the Davos World Economic Forum on January 21 that he had spoken to Zarif about the issue. The U.S. government has not commented publicly about reports by anonymous U.S. government sources that an Iranian-backed, Shi'ite militia kidnapped three contract workers in Baghdad. Kerry said he asked Zarif "if Iran knew any way to provide help or if there were some way they could have an impact on getting the right kind of outcome." "He said he would take that under advisement and try to do what he can," Kerry said, adding that Zarif said he "didn't have any immediate knowledge whatsoever about it." Iraqi officials are searching for the Americans, whom the Baghdad security command said were abducted last week from a "suspicious apartment" in southern Baghdad. Iraqi Prime Minister Haidar al-Abadi said in Davos on January 21 that he "doubts very much" that there is an Iranian link to the three men's disappearance.